Hana Beaman is one of eight women competing in the X Games Real Women video competition. Vote for Hana in the opening round here. Vote once per day until May 6th to help advance Hana to Round 2! "Eight of the world's most talented women in action sports have submitted 75-second video parts for a shot at X Games gold. 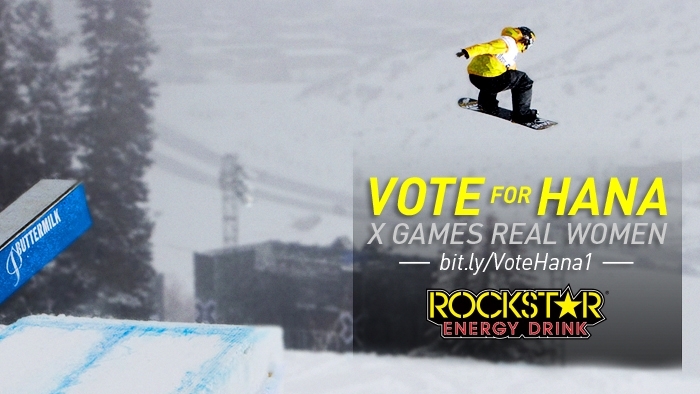 Medals will be awarded by a panel of X Games judges, but the Fan Favorite will be decided by YOU! Cast your vote today."